Cape Town – It's been just over five months since Princess Eugenie said I do to her businessman beau, Jack Brooksbank. The 29-year-old royal tied the knot at St George's Chapel on 12 October 2108, just five short months after the Duke and Duchess of Sussex became husband and wife at the same venue. So, how has married life been? Shortly after their nuptials, the newlyweds sent hand-written notes to their guests thanking them for their support and looking forward to their new life together. At the same time, the mother-of-the-bride, Sarah Ferguson, Duchess of York sent out thank you notes, welcoming her new son-in-law to the family. Shortly after their wedding, Prince Harry and Meghan stole the spotlight once again. The couple announced they are expecting their first child together, allowing Eugenie, 29, and Jack, 33, to quietly settle into their life together. 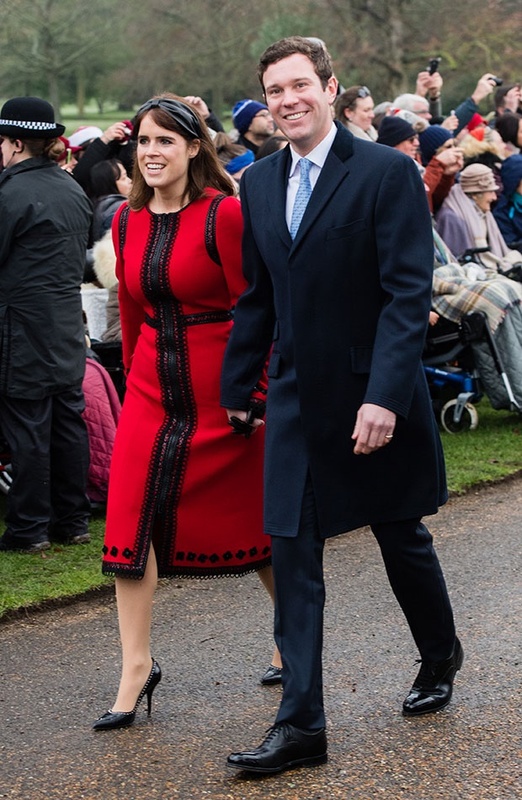 The pair made their first public appearance together at the annual Christmas Day service at the Church of St Mary Magdalene on the Sandringham estate on 25 December. Their honeymoon period came to an end on Thursday when the twosome carried out their first royal engagement as a married couple - the opening of new building at Royal National Orthopedic Hospital in London. Eugenie's father, Prince Andrew, Duke of York - who is now a patron of the hospital - joined his daughter and son-in-law for the outing where they met patients, staff and a robot named Pepper. The hospital has a special place in Eugenie's heart as it is where the 29-year-old received surgery for scoliosis when she was 12. "I learnt on this visit today that we all share in something with this building because we care, and so to us it is very important that we are here opening this new building and that Jack, as my newly married husband on his first event has been able to come and see where I had my operation," Eugenie said addressing the audience, Hello! reports. As for when the couple plan to have children, no official comment has been shared. Eugenie however, sent fans into a frenzy in January with an Instagram post that had fans thinking she was pregnant. According to Express.UK, Eugenie shared a throwback to the day she and Jack announced they were engaged with the caption: "#tbt to exactly this day last year - Jack and I announced our engagement. What a year it’s been since then and how exciting for 2019." Rumours spread that a pregnancy announcement was imminent but that the couple have to wait for Meghan to give birth first. She is due in late April/early May.